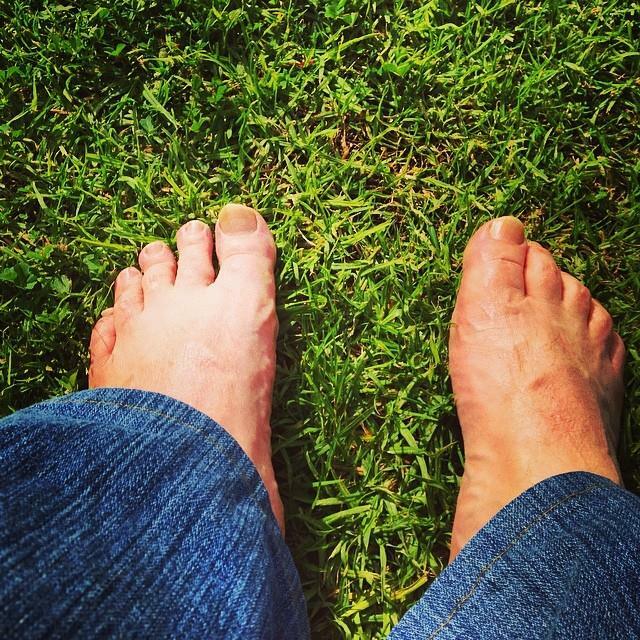 Sure I long for a glass of good wine at the end of the day to help me wind down from the antics of the advertising world, but what I long for the most and what deeply connects me to my bigger self and the world in general is something as simple as walking barefoot on grass. I often feel anxiety, stress and idiocy fall away instantly as I absorb some extraordinary energy coming from deep below. It makes sense. More sense that what our ‘reality’ can offer.